The video was Zedd’s “Find You” from the Divergent soundtrack has just been released. See Divergent this week on March 21st. Categories: Divergent Movie, Divergent News, Divergent Soundtrack | Tags: divergent movie, Divergent news, Divergent soundtrack, Find You, zedd | Permalink. Ellie Goulding talks the meaning behind DIVERGENT’s “Beating Heart” with MTV! 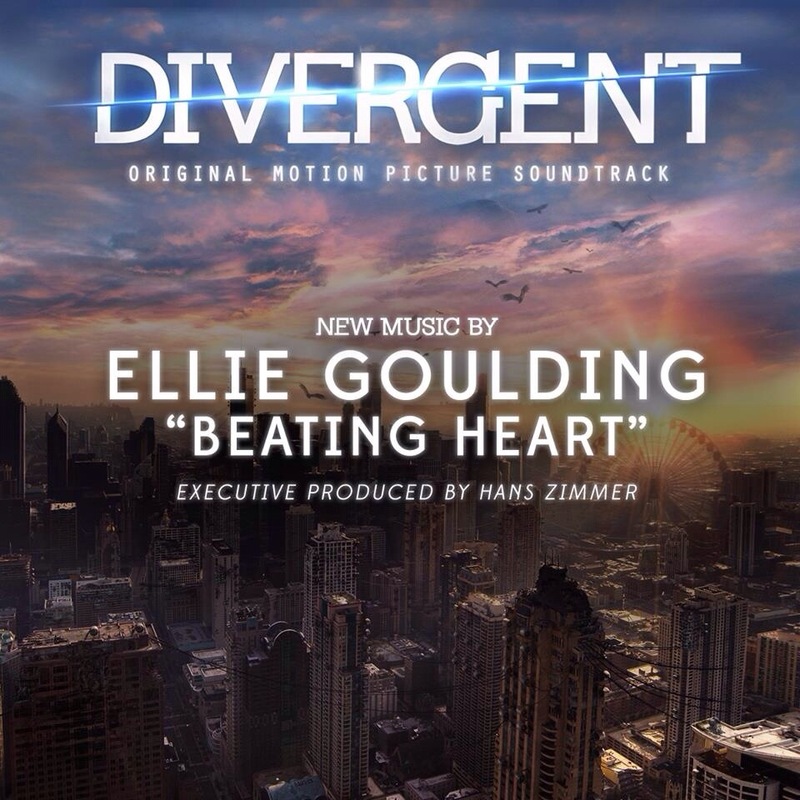 Ellie Goulding talked with MTV about her song on the Divergent soundtrack “Beating Heart”. The video for Divergent’s “Beating Heart” will premiere tomorrow on MTV at 7:53pm ET along with Shailene Woodley(Tris) and Theo James(Four). Divergent hits theaters on March 21st. Categories: Divergent Movie, Divergent News, Divergent Soundtrack | Tags: beating heart, divergent movie, Divergent news, Divergent soundtrack, Ellie Goulding | Permalink. Photos: Ellie Goulding Channels Tris in “Beating Heart” Video! Thanks to our friend @AprilFaithSpice we have some behind the scenes photos of Ellie Goulding shooting the Beating Heart video for Divergent. No clue as to when the video will be released, but once it is it will be posted tight here on Divergent Faction. See Divergent in theaters on March 21st. 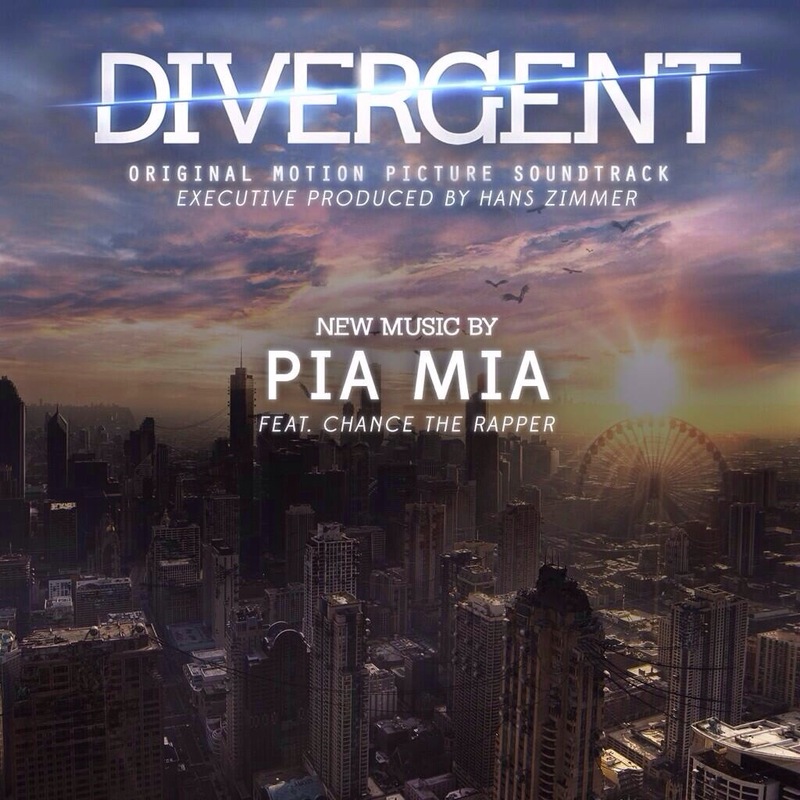 Listen to Pia Mia’s “Fight for You” from the ‘DIVERGENT’ soundtrack! This week we have heard songs from Snow Patrol, Ellie Goulding’s Beating Heart and “Hanging on”, and M83. Now NYLON has debuted Pia Mia’s song featuring Chance the Rapper called “Fight for You”. You might recognize her from her Nasty Gal campaign–but with a recent deal with Interscope and an album in the works, this girl is going to be huge. We have your first sneak peek at what’s to come in “Fight For You,” featuring Chance the Rapper. Click here to listen to “Fight for You”. Categories: Divergent Movie, Divergent News, Divergent Soundtrack | Tags: chance the rapper, divergent movie, Divergent news, Divergent soundtrack, pia mia | Permalink. 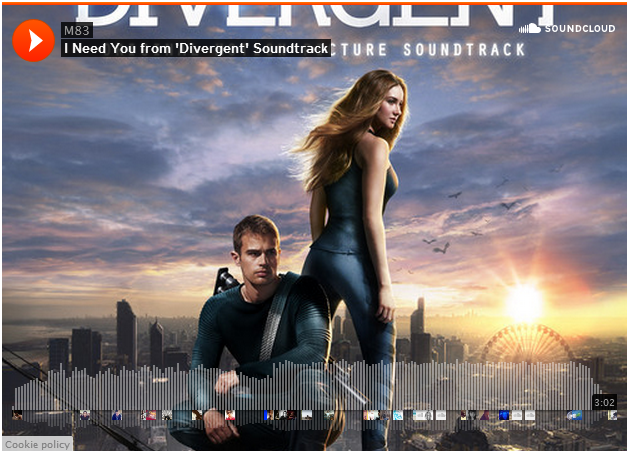 LISTEN to M83’s “I Need You” from the ‘DIVERGENT’ soundtrack! The Divergent soundtrack is only a couple of week’s away from release. Buzzfeed has exclusively debuted M83’s “I Need You” from the Divergent soundtrack. You can pre-order the Divergent soundtrack at Target. Categories: Divergent Movie, Divergent News, Divergent Soundtrack | Tags: divergent movie, Divergent news, Divergent soundtrack, I NEED YOU, M83 | Permalink. LISTEN to Snow Patrol’s “I Won’t Let You Go” from the #DIVERGENT soundtrack! 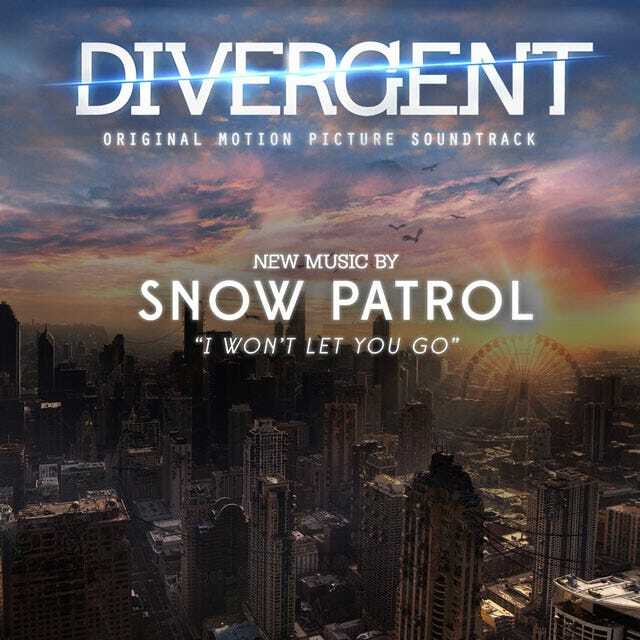 Thanks to Refinary29 now is your chance to listen to Snow Patrol’s song from the Divergent soundtrack “I Won’t Let You Go”. Head over to www.divergentsoundtrack.com to pre-order the Divergent soundtrack. It hits stores on March 11th. Categories: Divergent Movie, Divergent News, Divergent Soundtrack | Tags: divergent movie, Divergent news, Divergent soundtrack, I won't let you go, Snow Patrol | Permalink. 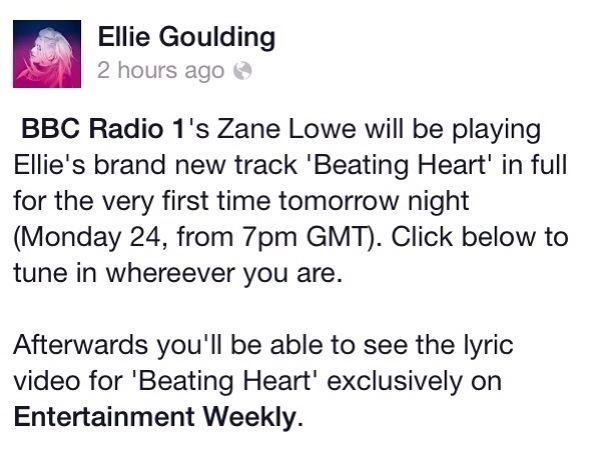 Ellie Goulding’s “Beating Heart” from ‘DIVERGENT’ soundtrack to Premiere tomorrow on BBC 1 Radio! Ellie Goulding just announced on Facebook that her single “Beating Heart” from the Divergent soundtrack will be premiering tomorrow on BBC 1 radio. The song will debut on Monday at 7pm GMT, 2pm ET, 1pm CT, and 11am PT. After the song is debuted Entertainment Weekly will exclusively reveal the “Beating Heart” lyric video.